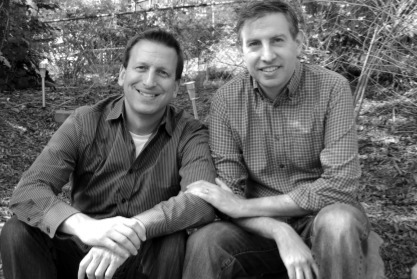 Jonathan Blumenthal and Eric Cohen founded Burgundy Crescent Volunteers in 2001 to connect LGBT people with each other and with opportunities to help their communities. They have remained at the helm of the group ever since, and its thousands of members have together given more than 100,000 hours of service to organizations throughout D.C., Maryland and Virginia. Jonathan and Eric, who are now married, met in 1999 at a social event planned by Gay, Lesbian, and Other Volunteer Singles. The organization disbanded that same year, and the couple felt it had limited its viability by restricting its membership to single people. “We started dating and we weren’t allowed to volunteer anymore, and I think that part of the GLOVs model wasn’t an effective way to go forward, because people would meet and want to continue to volunteer,” Jonathan says. Helping all of BCV’s members to feel welcome is at the heart of the group’s mission. As LGBT people continued to struggle for acceptance and equal rights, Jonathan and Eric gave their organization a whimsical name with no explicit reference to the community. As BCV’s membership roster grew to exceed 5,000 people, Jonathan and Eric never compromised on the personal touch they have given the group. They send out volunteer requests and coordinate all of their events by e-mail, creating human connections that they credit in part for the high reliability of BCV volunteers. BCV has established strong ties between D.C.’s LGBT community and the organizations it serves, which include the D.C. Central Kitchen, Food & Friends, and the Lost Dog and Cat Rescue Foundation among dozens of others. Among its numerous distinctions, BCV is the only volunteer organization trusted by the National Park Service to prune the cherry blossom trees that surround the Tidal Basin. Jonathan and Eric run the organization in their free time and rely on a core network of supporters to share the administrative burden. As the group moves through its 15th year, the couple is showing no sign of tiring.